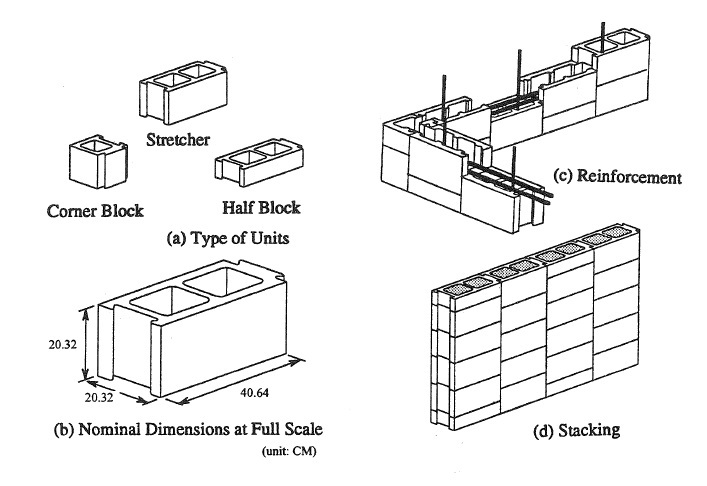 The behavior of interlocking mortarless masonry under compressive loads is studied by directly comparing experimental and analytical results. The techniques used to obtain all the input data necessary for a nonlinear FEM modeling technique are described. A three dimensional nonlinear finite element model has been proposed that was developed in the ANSYS general purpose FEM environment. The required FEM input data including unaxial stress strain relations, nonlinear localized contact stiffness, frictional behavior, and geometric properties were determined by extensive experimental investigation. Very good agreement between the deformational behavior of the physical and the FEM models has been achieved.